When you walk in the door you will know you are home! 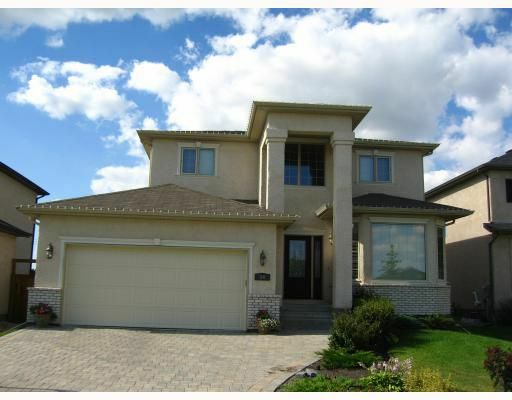 This beautiful Linden RIdge two storey custom home features cobble stone driveway and patio, extra large back yard with underground sprinkler system, maple floors and cabinets, tumbled limestone backsplash, travertine fireplace and many other upgrades. The dramatic central staircase leads to the gorgeous master suite with extra large jetted tub, cherry wood cabinetry, marble floors and large walk-in closet. Unspoiled basement area features radiant in-floor heating to truly allow the basement to be a real part of the home. You must view this home to appreciate the custom detailing throughout! Showings Wednesday August 27 at 9am. Open house Sunday August 31 from 2-4pm and Tuesday Sept 2 from 5-7pm. Offers to be presented Wednesday Sept 3 7 pm.